Airspace surrounding many of the world's busiest airports is becoming constrained as air traffic grows. In the Asia Pacific, MITRE and Singapore are working together to research innovative tools to enhance air traffic efficiency while preserving safety. In the face of continued rapid air traffic growth in the Asia Pacific, Singapore is exploring ways to handle traffic more efficiently at its busy Changi Airport. MITRE Asia Pacific Singapore (MAPS)—MITRE's state-of-the-art research and development facility in the Asia Pacific—recently supported that goal with research into new tools for merging and spacing aircraft on their landing approach. 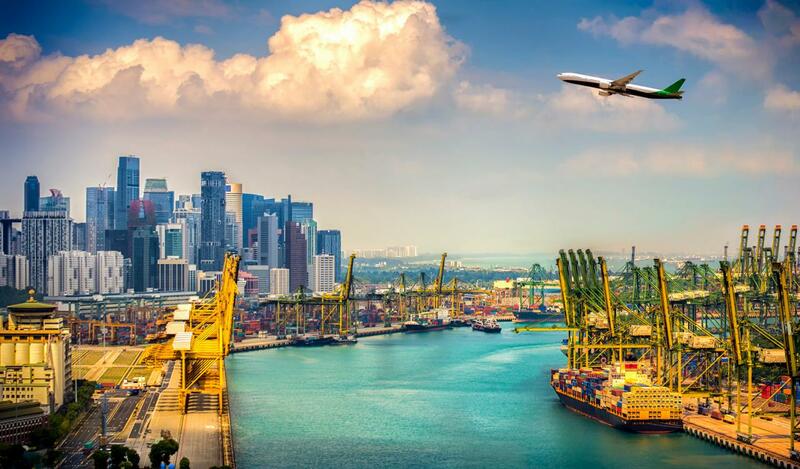 In one project, MITRE and the Civil Aviation Authority of Singapore (CAAS)—the sponsor of the work—collaborated to adapt a U.S. air traffic control tool to enhance Singapore's air traffic operations. In the United States, a tool called Automated Terminal Proximity Alert (ATPA) is available to air traffic controllers to help them maintain a safe distance between aircraft as they approach an airport for landing. "There are different weight categories—light, medium, heavy, and so on—for aircraft, depending on how much wake turbulence they produce," explains project leader Clark Britan. "To keep the wake of the leading aircraft from disturbing the trailing aircraft, there must be safe separation between the two aircraft. That spacing requirement differs depending on the weight classes of the two aircraft." For instance, he says, a heavy aircraft must remain at least three nautical miles behind a medium aircraft to keep from encountering its wake. A pair of heavy aircraft must remain at least four nautical miles apart to maintain safety. To help controllers maintain those safe distances between flights, the Federal Aviation Administration (FAA) implemented ATPA. That tool uses a cone-shaped image on the controller's radar display to depict the required separation between aircraft approaching the runway. "By having that image, the controller can better keep the aircraft as close as possible to one another—for the sake of efficiency—but far enough apart to avoid wake turbulence," explains MITRE team member Paul Diffenderfer, a former air traffic controller in Atlanta. For Singapore, MITRE researchers conceived an enhancement to ATPA so that the cones could assist Singapore air traffic controllers with managing the arrival sequence well in advance of landing. "For an airport as busy as Changi, the arrival order may be set 40 nautical miles or more from the airport," Britan explains, "and Singapore controllers work to keep to that sequence." To support adherence to these well-planned schedules, determined by Singapore's arrival management automation, MITRE researchers designed Enhanced ATPA (E-ATPA). "By having the cones appear further in advance of landing in E-ATPA, controllers are now better able to maximize throughput." When MITRE brought Singapore controllers to the MAPS laboratory to assess and refine E-ATPA in a simulated environment, the results of the experiment were promising. "Using E-ATPA, the controllers were more confident in putting arrivals closer together, while still maintaining safe separation between the leading and the trailing aircraft," notes Rick Lye, an employee at MAPS and ATM expert involved in the project. In actual operations, MITRE's analyses indicated that this tighter spacing would translate into two additional arrivals per hour. "It means the aviation industry would be able to move more passengers and more cargo through Changi Airport," Lye says. "It would also reduce delays, which improves the passenger experience, saves airlines fuel, and reduces emissions into the atmosphere." Standard ATPA helps controllers space aircraft traveling one behind the other on a single flight path as they approach an airport for landing. For Singapore, MITRE researchers saw an opportunity to provide automated support to controllers handling the airspace farther from the airport, where aircraft are just beginning their descent and are not yet on a single path. Flights from different directions must merge as they get closer to the airport so that they can land in an organized and safe sequence. But the flight paths that these aircraft follow differ markedly. While some paths are fairly direct, others are curved or include dogleg turns. "That can make it difficult for the controller to tell at a glance which aircraft is closer to the merge point," Diffenderfer explains. "We wanted to help the controllers do that, while also enabling them to keep the aircraft on their assigned paths, which is more efficient than having to re-route them." To achieve these goals, a MITRE team created a prototype capability that builds upon a MITRE-developed tool that U.S. air traffic controllers use to manage converging and intersecting runway operations. "The prototype we tested in Singapore calculates the distance of the merging flights' paths and projects them as 'ghost tracks' on a central track," Britan says. "In that way, controllers can quickly see which flight path is longer and which of the flights they may need to speed up or slow down to prevent a conflict as the aircraft merge or land." During testing in the MAPS laboratory, Singapore controllers reported that they found the ghost tracks beneficial in their decision-making process. CAAS is now considering integrating aspects of these decision support tools into the country's operational air traffic management software.